Hello Beauties! I've always been a little sceptical when it comes to makeup setting sprays after being stung one too many times by some drugstore duds. However, since trying these setting sprays my opinion has completely transformed, and I can no longer leave the house without giving my face a quick spritz. 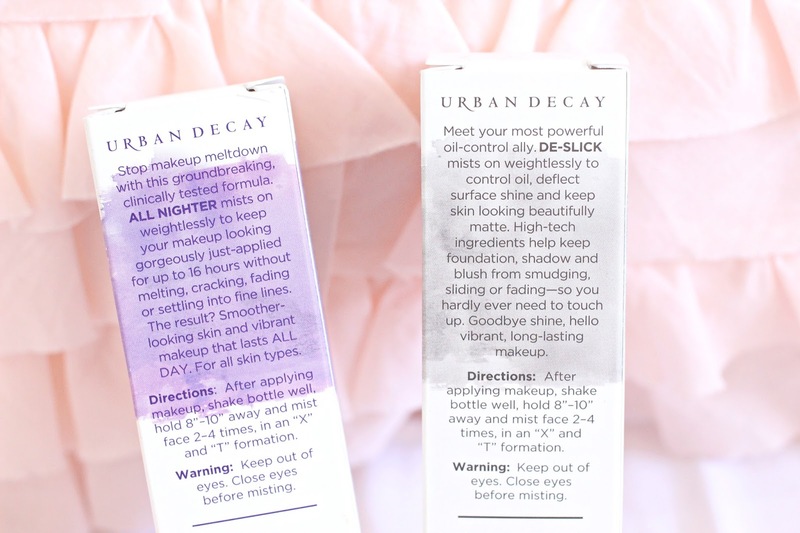 On a recent trip to Sephora, I picked up both the De-Slick and All Nighter setting sprays from Urban Decay in the smaller sizes - as I wanted to try them before committing to a larger size, although I'm now kicking myself for not bulk buying! The de-slick setting spray by Urban Decay is for those with oilier skin types and provides you with weightless oil control to keep your skin looking beautifully matte. Created by Skindinavia, the De-Slick setting spray features Urban Decay's patented Temperature Control Technology, so it actually lowers the temperature of your makeup to help prevent shine breakthrough and keep your makeup in place - amazing, right?! I've honestly never tried an oil-control product that works so well, when I use this with a normal to matte finish foundation I don't have to powder all day, no word of a lie - and that's pretty unheard of for me as my makeup has normally melted away before lunch. The de-slick setting spray also allows me to wear more dewy foundations, something I'd never of been able to do before. When I've gone for a more dewy makeup look, I do find that I still need to powder slightly, but nowhere near as much as I'd had to before. Much like the De-Slick setting spray, the All Nighter spray is also developed by Skindinavia and contains their patented Temperature Control Technology to help keep your makeup cool and oil-free. However, instead of making your makeup shine free, the All Nighter prides itself on making your makeup stay in place for a seriously long time. The All Nighter spray is designed to keep your makeup looking freshly applied for up to 16 hours, through humidity, sweat and heat - so it's perfect if you've got any tropical summer holidays planned. The All Nighter setting spray is fairly similar to the De-Slick spray in terms of results (as I find the de-slick also prolongs wear time), so if you've got the de-slick one, then I don't think you really need both. 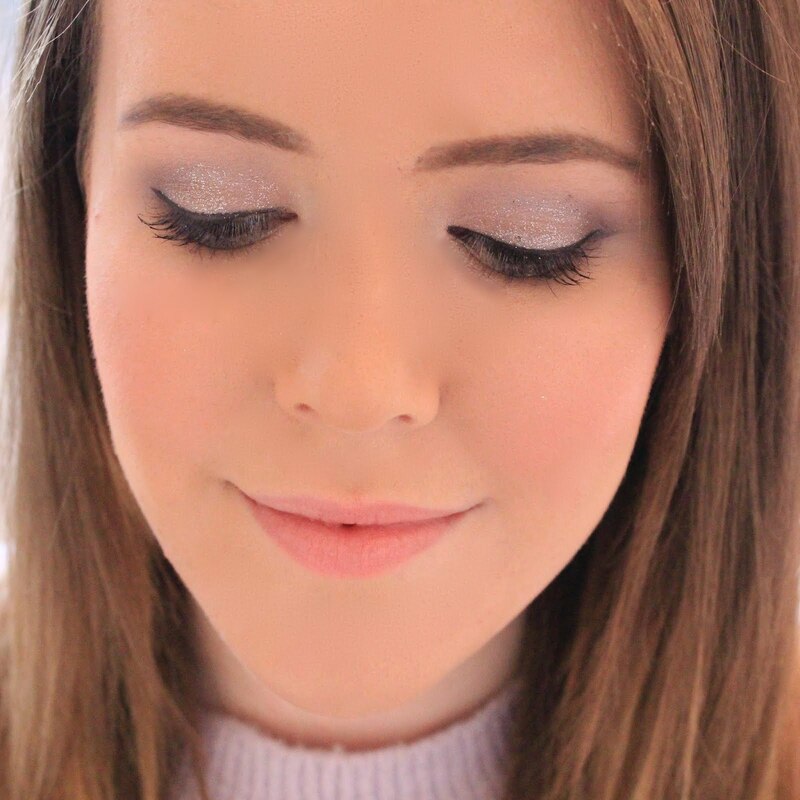 I do however much prefer this one for nights out when I need my makeup to last a very long time in hot conditions on the dance floor, as it does work slightly better than the de-slick on these occasions. At first I was a little worried about using a setting spray, as I thought the wet-ness would break down all of the powders I'd applied, but I couldn't even notice these on my skin once applied as it dried instantly, and actually found the whole process quite refreshing. Overall, I'm extremely happy to have these babies in my makeup collection, and they've quickly become holy grail cannot-live-without items for me. If you suffer with makeup meltdown or oily skin, I'd definitely recommend picking up one of these bad boys - I promise you, you'll never look back. 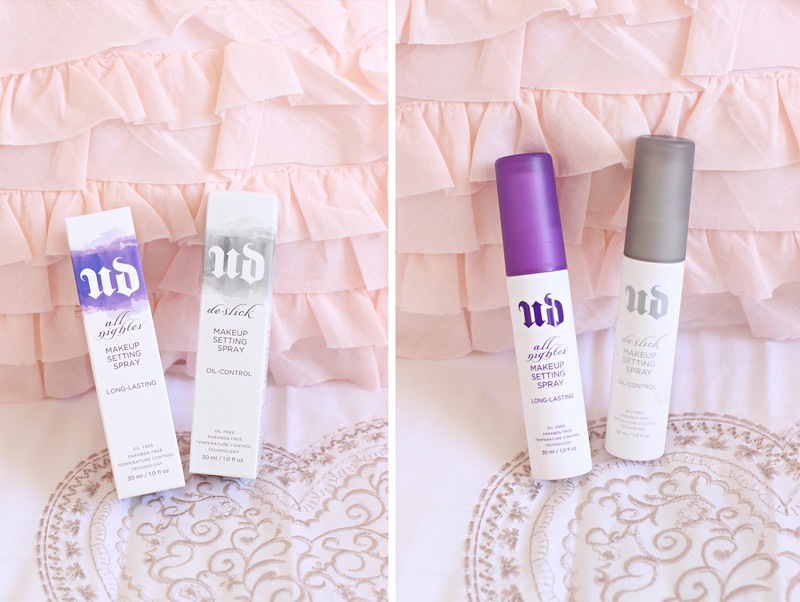 Both of the Urban Decay setting sprays are available in the smaller 30ml travel size (£9) which I've got, or the larger 118ml full size bottles (£22) from Debenhams here. all nighter is my saviour! i adore it for summer! I have the De-Slick spray and I really love it actually - great post! These have such an incredible reputation! I definitely need to pick one up as well, I've never tried them before! The All Nighter is one of the best setting sprays I've tried personally! I love these setting sprays. They're definitely a must have for me too.